We can also customize according to your needs,any other requirement please send inquiry to us. We do firmly believe :technological innovation ,making every detail of the product perfect is our ambition ever. 2. We can send the technicians to the buyer`s factory for the installation of the machine. 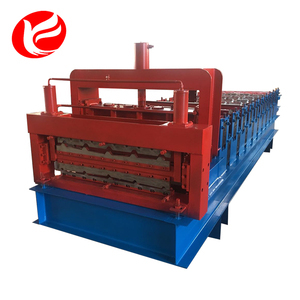 Driving system of Factory Prices Making Building Material wall panel metal roofing Corrugated Tile Roll Forming Machine For Sale Hidden electrical motor and hydraulic pump station can help to save space for you, and the machine looks more beautiful. 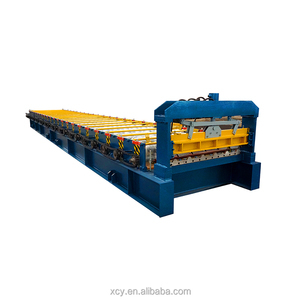 Finished Product of Factory Prices Making Building Material wall panel metal roofing Corrugated Tile Roll Forming Machine For Sale We also provide Safety Shield, Hydraulic decoiler, Automatic stacker for your better operation. 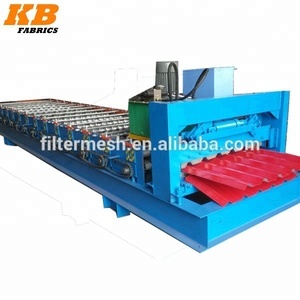 Factory Prices Making Building Material wall panel metal roofing Corrugated Tile Roll Forming Machine For Sale We are 10 years leading roll forming machine manufacturer, the following picture is our general plant. 3)Easy operation : Directly input the data on the touchable screen. 5)Saving time and cost owing to high speed running with hydraulic system. Life long tracking service Spare parts: Welcome to visit our factory! Without visiting, we will send you user manual and video to teach you to install and operate. C. If there is any problem found of the machine, we will repair it for free in one year. If you are interested in any of our products, or wish to place a customized order, please contact us. 2. Why your price is higher than others - As we persist on that each factory should put quality at the first place. We spend time and money on developing how to make machines much more automatic, accurate and high quality. 3. How long the machine could be made - Normally speaking, welded pipe making machine could be made without 45 working days. 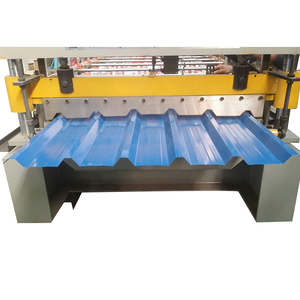 Hot sale 800mm roofing panel machine manufacturer glazed shape metal roof tile Roll Forming Making machinery No. Training During installation and adjustment of the equipment, our engineers shall provide the training to buyer&rsquo;s personnel request to operate and maintain the equipment. Including foundation construction, electrical works, hydraulic oil, safe operation and non-standard safety items, testing material and etc. D.
4 YRS Xiamen BMS Building Technology Co., Ltd. The system includes a set of hydraulic tank, a set of a Gear Pump, two hydraulic pipes . Material of blades: Cr12 Components:It contains one set of cutting tools, one hydraulic tank and one cutter machine. 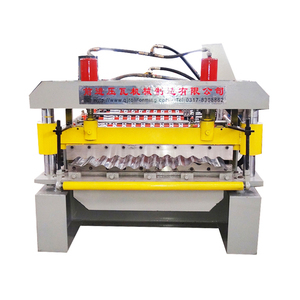 Automatic Uncoiler With moving car It is used to support the steel coil and uncoil it in a turnable way. 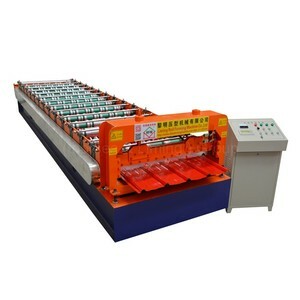 Alibaba.com offers 35,909 roof metal forming machine products. About 89% of these are tile making machinery, 2% are other metal & metallurgy machinery. A wide variety of roof metal forming machine options are available to you, such as colored steel, colored glaze steel, and steel. You can also choose from roof, wall, and floor. As well as from free samples, paid samples. 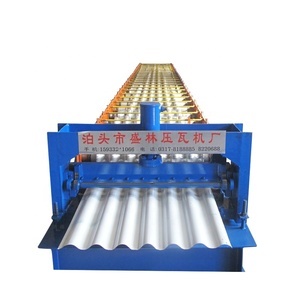 There are 35,909 roof metal forming machine suppliers, mainly located in Asia. The top supplying country is China (Mainland), which supply 100% of roof metal forming machine respectively. 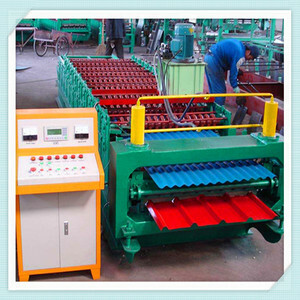 Roof metal forming machine products are most popular in Africa, Domestic Market, and Southeast Asia. You can ensure product safety by selecting from certified suppliers, including 9,828 with ISO9001, 1,653 with Other, and 990 with BSCI certification.